You are looking at the south side of the Venedocia historical marker. 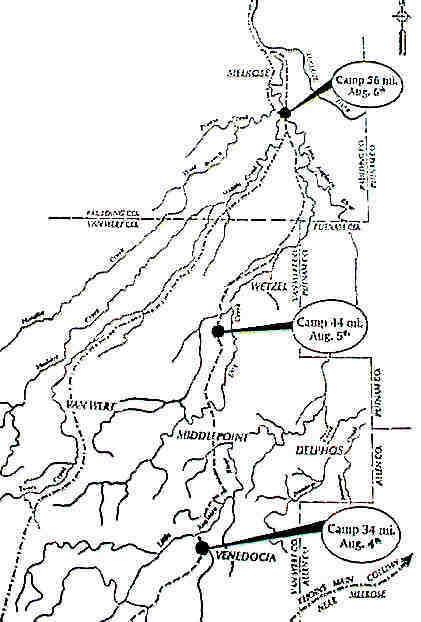 On the night of August 4, 1794 General "Mad" Anthony Wayne's army camped at what is now the Venedocia cemetary. This was before either Venedocia village or the cemetary existed. 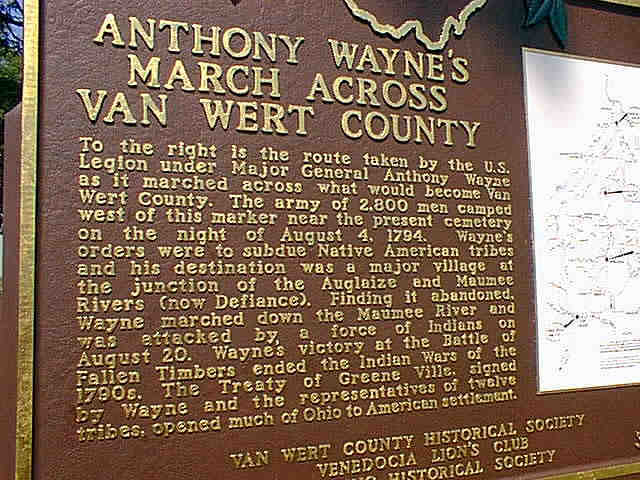 The two photographs below are closeups of the map on the right side of the historical marker which shows Wayne's route through Van Wert and neighboring counties. View the other side of the Venedocia historical marker to see information about the Welsh culture and history of Venedocia. View the original copy of The Treaty of Greenville.